Congrats MLT for dethroning me on the Break-Out The Bible high score chart. So that’s why my high score table only had 127 entries…. I used tiny int in my database instead of int. Now we can go beyond 127 saved scores, sorry if your score never made it because of this. October 12, 2010. Atlanta/Chicago. Inspirational Video-Game Leader DivineGames.net and Light Media have aligned, via a comprehensive Strategic Acquisition and Alliance agreement. The terms of the Agreement provide generally that: (1) DivineGames.net will become an independent portfolio partner entity; and (2) Light Media will serve as the exclusive distribution and marketing partner of DivineGames.net Video Games with EMI Christian Music Group (CMG) positioned as strategic partner managing Christian and General Market retail sales. The first video-game to be globally distributed via this alliance is: Break-Out The Bible; to view video-game trailer, click here: Break-Out The Bible (or click/copy paste the following link in your web-browser: http://www.youtube.com/watch?v=QaQyAfLNdSw). About EMI CMG: Billboard Magazine’s annual Top Christian Music Distributor since 1995, EMI CMG Distribution was founded in 1994 to serve as the main distribution outlet for EMI CMG’s owned and distributed labels to the US Christian and general retail marketplace, and the international Christian marketplace. Awards given to EMI CMG Distribution include CBA Supplier of the Year 1998, 1999 & 2002, CBA Customer Service & Distribution Award 1998-2002 and CBA Impact Award 1998 & 1999. EMI CMG Distribution is a division of EMI CMG, which is a unit of EMI Music. EMI Music is the third largest recorded music company in the world operating directly in 50 countries. EMI Music represents more than 1,000 artists spanning all musical tastes and genres. For more information, please visit: www.EMICMG.com. Light Media (OTC: “LGMH”), Inspirational Media Specialist, via its integrated portfolio platform partners targets the youth, young adult and adult/family demographic for inspirational media and entertainment that uplifts the community 24/7. For more info., please visit: www.HotChristianStocks.com. Light Media also serves as the exclusive distribution partner for Christian video-game portfolio partner: The Rebel Planet. For more information, visit: www.TheRebelPlanet.com. To view, Axys: Truth Seeker Video Game Trailer, by The Rebel Planet, distributed by EMI CMG, click on the graphic directly below. This press release contains statements, which may constitute “forward-looking statements” within the meaning of the Securities Act of 1933 and the Securities Exchange Act of 1934, as amended by the Private Securities Litigation Reform Act of 1995. Those statements include statements regarding the intent, belief or current expectations of Light Media (OTC: “LGMH”) and members of its management as well as the assumptions on which such statements are based. Prospective investors are cautioned that any such forward-looking statements are not guarantees of future performance and involve risks and uncertainties, and that actual results may differ materially from those contemplated by such forward-looking statements. 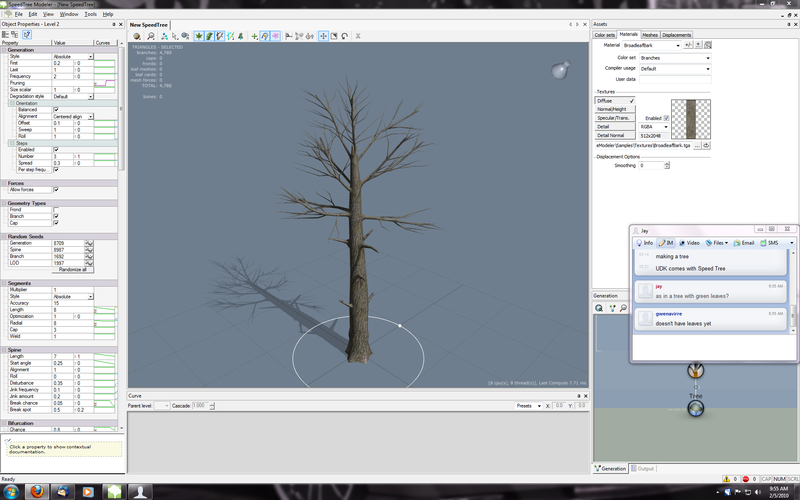 I’m finally braving the 3D realm of game development. 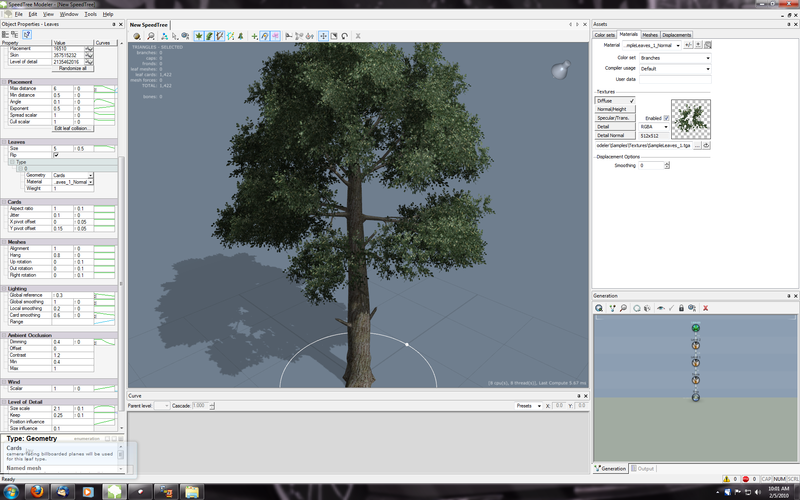 I’ve been having a lot of fun making trees and bushes with SpeedTree. 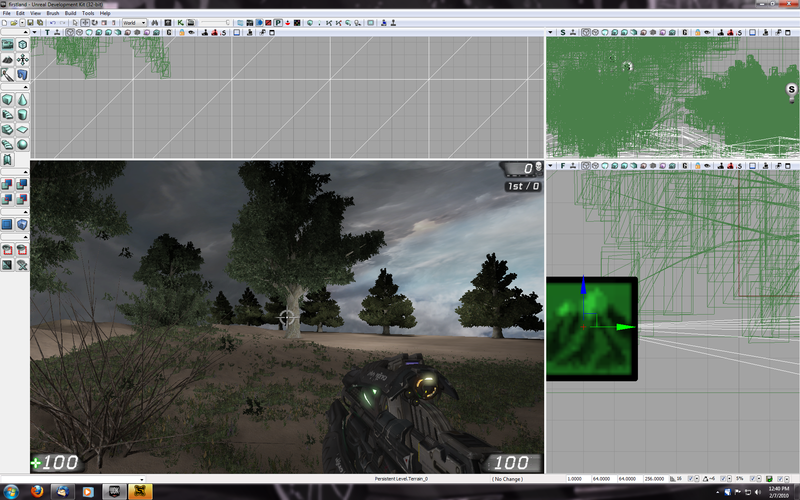 I made a small terrain map in UDK. I noticed that the scores have not been updating so I have backed up and re-created the high score table and it’s working again. So let’s see some new scores on there! 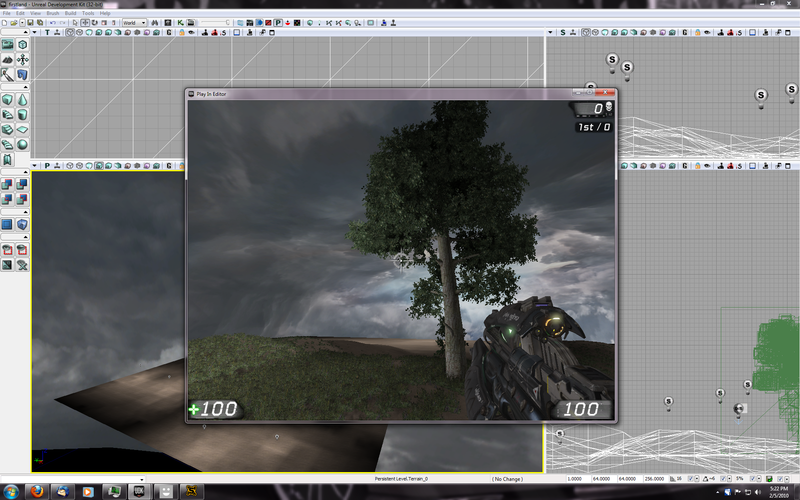 I had trouble running my compiled version of Whack-a-mole.Ã‚Â It ran perfectly fine in TGB.Ã‚Â Once I told it to Build (compile) with the source included, it worked like a charm.Ã‚Â Strange. Paste this line into notepad. Then replace one of the quotation marks. Notice the difference? The original quotes are going throw a syntax error, which will not only stop your GUI from loading, but will prevent your entire initializeProject() from working. Jeff Spicer:Cheryl, this is a great game.